Previous post: Hey, wow! Math works! Next post: Celebrating nine years of blogging! After two mind-numbing days, I’ve knitted two of the three blanks I need for Â the dark panels. Â As soon as I finish knitting the third (hopefully tomorrow! ), I’ll take them out and dye them in the darker colors. I’m still considering the bluish purple that is in the middle of the bottom row. 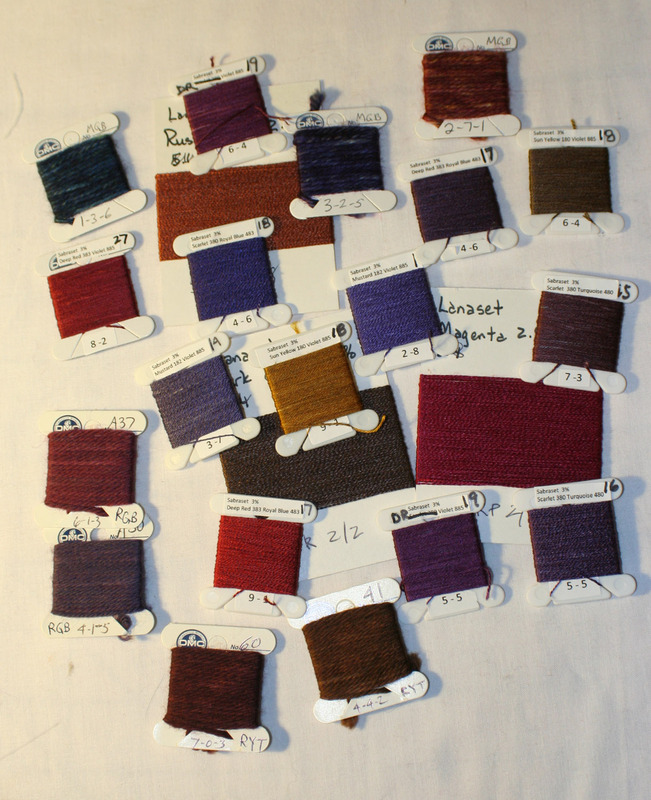 Â It’s really too blue for autumn purple, but overdyed with a warm wine red, I think it’ll work out nicely. Â I’m also debating the red at top left; it may be too assertive, fighting with the brighter panel for attention. 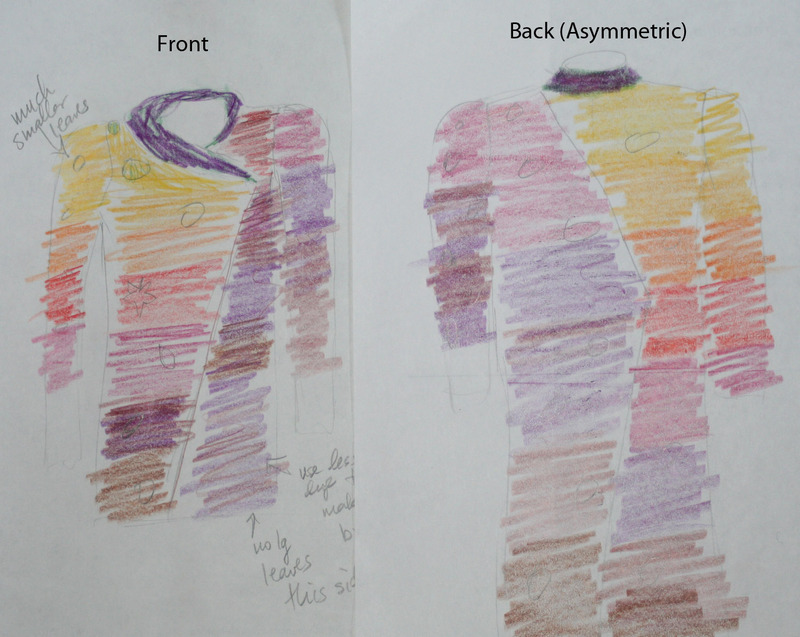 Â On the other hand, since the collar will be purple, I don’t want to start in the purples, so red may work out just fine. Off to bed! Â I need a break from all that boring knitting. Â Tomorrow I’ll be fresh again, and can finish knitting up the last blank. Â And then, it’s off to dye! 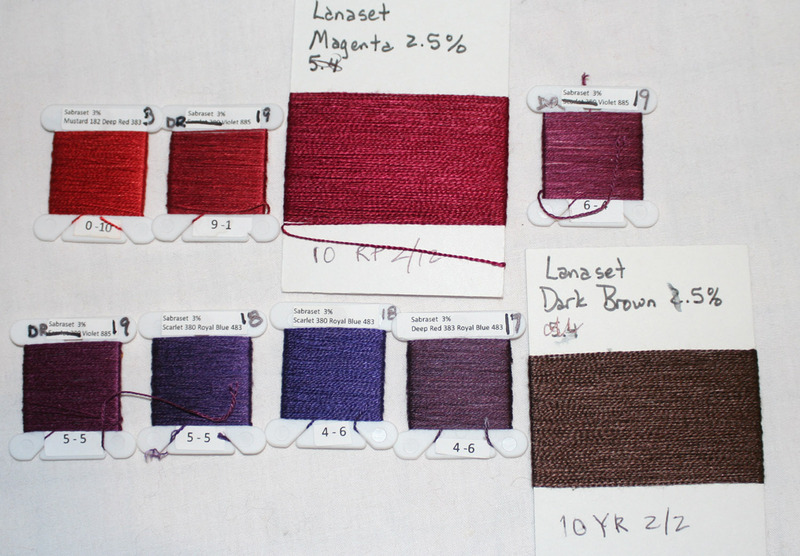 I used to free-lance machine-knit samples. This is when you learn to appreciate audiobooks or even, (GASP! ), tv. Got the gig from the company I worked for to knit up 3-yd samples of ALL the yarns for that season in our design room, when they decided to consider adding a line of knitted fabric to their offerings. Left me quite “flush” but sore and bored (-; That machine really did pay for itself! If you still can’t find parts for you art knitter, check out the offerings on ebay. If you can luck into a Toyota 901, DO IT! Of course, the goodie remains the Passap, but, large learning-curve. You have to be really committed to knitting.